1:00 In a modified line from Milly while she's talking to the camera, in the script we learn that she and her friend are in class 6B. However the information is spoken a few episodes later, in episode 10. 1:30 When Tamiya starts filming the inside of the hall, she interrupts, Milly's commentary. 4:00 When Tamiya tries to console Milly in their room, the computer turns on to show the eye of XANA for the first time. In the script, the sign of its activation is shown in a more complete way. Neither of the girls notice that one of their computers has turned on. A wave of parasites than an image. An eye. A short circuit fizzles the computer's wall socket. We travel through the cables, at the speed of an electric pulse. We surface above the world of Lyoko, briefly flying over it like the data streams that traverse it. To reach a sombre and abstract space at the heart of the darkness. Milly (off): Oh! I hate them! All of them, you hear me! All! I hate them all! Something awakens, a deep and crackling digital breath. Xana is listening. What is XANA's virtual space? “We” come out from under the bed, “we” jump onto a chair and from there, onto a shelf...“we” steal our way through the bottles of beauty products, “we” take an extension cord and tangle it up... In front of the mirror, Sissi is placing two cucumber slices over her eyes. Blind, Sissi picks up her curling iron. The cord becomes stuck and resists. Sissi pulls. Something gives way in a crystalline noise. Sissi only has the time to turn and open her eyes wide in dismay, the movement of her eyelids throwing the cucumber slices off in the shock. A whole shelf of beauty products tumbles down on her. The curling iron escapes her grasp and falls into the sink. Short circuit, the bulbs explode, projecting Sissi in the room. Since when has Sissi had a sink in her own room? It's a mystery. 11:00 Once Jim's drawing is found in the bin, a short scene was deleted, surely because it served no purpose. Jeremie and Ulrich are still in the room, tuning the sound system. Suddenly, Ulrich's mobile phone rings. Ulrich picks up. Odd: We have to talk, fast! Come to the arches. Ulrich turns to Jeremie and gives him a look full of hidden meaning. On one of his screens, Jeremie watches Odd's silhouette progressively fill. Aelita: I don't understand, Jeremie. Xana took control of what? Aelita is standing beside the crater. Opposite her, far off, Odd arrives, running in her direction. Aelita: You say the bear changed size, Jeremie? Jeremie: Yes, Apparently, the more furious it is, the bigger it grows! So that explains its size. 14:30 On Lyoko, five horrible lice arrive. Odd: Hello Kankrelats! How's it going?! Aelita watches the monsters that are approaching as she questions Odd. Odd nods, a the corners of his lips twitched upwards in a smile. It's a good thing these lines were omitted - Aelita lives on Lyoko, it's normal for her to know their name! In the episode timeline, she already ran into them in the Prequel. However, this scene clearly shows that this is the very first episode, as it serves to introduce the elements of the series. 16:00 In the crater, Aelita doesn't fall in the same fashion. Instead of just being thrown off balance, she grabs onto a ramp made of rock before falling. The footsteps of the bear following them still shake the ground. Suddenly, Yumi spies a large bin on the street and points to it. The two friends open the bin, jumping inside and closing the lid. The bear's foot is placed right beside it, then continues on: the bear didn't see them. The bin's lid opens to reveal the tense faces of Yumi and Ulrich. Ulrich looks in the direction of the bear as it moves away. Ulrich: Yeah. But it's not over. Do you know where the teddy will go if it wants our skin? The two friends quickly jump out of the bin and set off running down the street. On the other hand, in the script, like in the episode, it's noted that a window explodes as the bear passes by, a shop window in this case. Yumi bursts into Milly and Tamiya's bedroom. The two youngsters, reading on their beds, look up at her. Milly: Yumi! Do you know if Odd found my bear? Yumi: Let's just say that it was more like he found us! Dumbfounded looks from Milly and Tamiya as we hear the sound of the giant bear's footsteps off screen. Milly and Tamiya frown and hurry to their window to look outside. Through the window, Milly notices the giant bear, far off, walking through the streets of the city towards the school, taller than the rooftops. The two stare wide-eyed, stunned. 01:00 Although his name is never used in the series, we learn in the script that the engineer who comes to do a presentation on the nuclear plant to Ms Hertz's class is named Mister Delâcre. 05:40 Yumi, Ulrich and Odd leave Jeremy to begin their band auditions, a long scene was cut from the episode. Ulrich, Odd and Yumi are about to enter the hall when suddenly, a strange hissing (the kind you hear from high-tension cables) is heard. Yumi looks up. Her gaze fixes on the pylon that reaches up over the surrounding wall, on the other side of the front gate. Strangely, sparks are spouting from the top of the pylon. Yumi frowns and indicates to the pylon. Odd and Ulrich watch the pylon, intrigued. Without wasting any time, Yumi takes out her phone and dials a number. Jeremie is about to climb the stairs when suddenly, his mobile phone rings. He picks up and answers. Jeremie: What pylon? ... Ok. I'll go look at it later. Ok! I'll keep you posted! Jeremie hangs up. Pensive, he goes to climb the first few steps from suddenly, Jim arrives. Jeremie turns and addresses him. Jeremie: Jim! * There's a problem with the pylon, by the front gate! Jim nods and pats Jeremie's shoulder to reassure him. Jim: I know. The fire fighters are on their way! Jeremie smiles at Jim, who continues on his way. But once Jim has left, Jeremie regains his worried expression and climbs the stairs 4 at a time. *In the French version, students usually refer to Jim as Sir or Mister Morales, but keeping in line with the English dub we've decided to keep calling him Jim. 09:20 At the end of Nicolas's audition, a reference to another cartoon was hidden in the script and changed in the episode. Odd: Nicolas?! The drummer in our band?!... In the land of the Care Bears, sure! Sissi did this to give us a hard time! 11:40 In the script, the heroes' escape from Jim's audition was aided by a sudden blackout. Jim: Oh no!... You are formally forbidden from leaving here without accepting me into your group! Suddenly, the lights in the room abruptly go out. The room is plunged into darkness. A beat. Then, a light comes on: a lighter held by Jim. The gym teacher looks around him: nobody else remains. 19:40 During the fight on Lyoko, Ulrich simply jumps on the Krabs to destroy them. In the script, he went for a different technique. Ulrich regains his footing a little further away. Lithe like a cat, he turns to face the final Krabe, but already a simple laser beam hits his arm. Movement of surprise from Ulrich. Before he can react, a new laser hits his leg. Ulrich does a pirouette to get out of there. A laser barely misses him. Ulrich rolls, his body partially depixelising. Jeremie and Odd, horrified, stare at the screen, where we see Ulrich lose 80 life points. Odd grabs the microphone like a crazy person. Odd: Ulrich! Have you lost it or what?! Shot of Jeremie. He nods as he casts a glance at the red pylon at 98.5%. Jeremie (muttering, very worried): Get a move on... The pylon is at 98%! Ulrich, mostly depixelised, stands immobile before the Krabe, which is preparing to leap onto him. Sabre in hand, he concentrates. The two adversaries face off. The Krabe shifts but Ulrich doesn't move. Odd OFF (impatient): What are you doing? Bust it up! Despite Odd's intervention, Ulrich doesn't move until... The Krabe, impatient, launches at him, using its pincers to try and trap him and get him with its underside laser. Ulrich, in complete control of himself, lets it come... At the last moment, he leaps, flips in mid-air and stabs his sabre right in the middle of its eye. The Krabe quickly disappears. 21:10 In the episode, XANA's attack dissipates while the electrical energy is moving through the cables towards the nuclear plant; in the script the attack was longer. Shot of the nuclear plant at night. Suddenly, it's illuminated by a red light approaching. Shot of Jeremie and Odd, Together, they shut their eyes because on the computer screen, the map of the electrical network shows that the nuclear plant is blowing up! Shot of a “floating” computer interface. Aelita's hand enters the code: “LYOKO”. The fire at the plant suddenly stops. Pause on image. 6:00 The smoke shouldn't have been purple, but green! 2:45 The history class on absolute monarchy was originally going to be on barbarian invasions. Ulrich and Sissi are seated side by side at the same table. We move away from them to refocus on Odd and Jeremie, who are sitting together and listening to the teacher. Odd leans over to Jeremie. This modification can be explained by the French school curriculum. At the time, barbarian invasions were in the year 6 history curriculum, while absolute monarchy was for year 8 students. 16:46 In the script, when Aelita uses her powers to create a bridge connecting to the tower platform, Jeremy panics after seeing it impact her life points. Immediately, Aelita falls to her knees. She closes her eyes and concentrates. Yumi remains attentive to all that's going on around her, ready to throw her fan at the Megatank that appeared. A bridge appears, created by Aelita: it crosses over the crack blocking the two girls. Jeremie turns back to his screens and watches with horror as Aelita's life points fall. Jeremie (panicked): Aelita! What's happening to your life points? 19:00 Odd saves Aelita from falling into a crevasse. In the script, he was alerted to the appearance of this crevasse by one of his flash visions. In the middle of the tempest, Aelita is barely visible. As soon as Odd spots her, he's seized by a vision. Aelita falls into a crevasse that opens beneath her feet. Odd reopens his eyes. Before him, a crevasse opens just in front of Aelita's feet. 18:05 The Bloks' ice eye isn't used in the script, unlike in the episode. Fade from Ulrich's green icon. He's fighting energetically against the two Bloks that are still in the running. He faces off with one to attack it and is therefore forced to turn his back to the other. Ulrich concentrates and embeds his sabre in the eye of his adversary. But before he has the time, the Blok behind him fires and hits him. 19:10 Yumi makes an Odd-style joke. They stop and watch the Blok as it comes towards them. Behind them, we can see the tower not far away on an empty plateau. Aelita looks at her friend confused. Yumi closes her eyes to concentrate. The monster rushes towards them. But at the moment when it passes between two boulders, Yumi uses her telekinesis to move one. The rock rolls - with difficulty because it's big! - and crashes into the other boulder. *In French, this is sandwich au Blok, which sounds a lot like sandwich au blanc, a kind of sandwich. 19:45 Odd had a Future Flash in this episode. Odd hurries after, but suddenly seems to stumble and leans on a rock to keep himself from falling over. The image is in black and white. Aelita is in front of the tower. Behind her, the Megatank shoots a laser. The laser strikes Aelita in the back, while she's trying to enter the tower. The girl depixelises in a cry of pain (SFX). Odd reopens his eyes, frightened, and runs towards his friend. But Aelita and the Megatank are too far ahead of him. 01:00 The episode was going to open on the final scene, where Yumi falls into the Digital Sea, before bringing us back to the start of the episode with a flashback. Yumi is suspended in mid-air, a single hand gripping onto the edge of a trunk. She seems exhausted. Yumi's hand slips on the digital grass. Jeremie (off): Yumi?!! Yumi?!! Can you hear me?!! Yumi: Jeremie! I can't hold on anymore! In the lab, the mood is apocalyptic. The place is being showered with dust. Jeremie and Odd are surrounded by debris from the ceiling. The two friends are tense and worried. On the screens, the subjective vision of Aelita reveals she has just entered the contaminated tower. Jeremie: Aelita's in the tower. Hang on, Yumi! Yumi's hand continues to slip. Then, the effort being too much, the girl lets go. Yumi falls into the digital sea and her body quickly gets further and further away. 10:40 In the script, Ulrich approaches the factory through an industrial zone. In the episode, he gets there via the river. Ulrich, in the seat, has his phone glued to his ear. He places his other hand in front to try and block out the noise of the motor. 14:40 The scene where Jeremy warns Odd he's almost out of arrows was less dynamic than in the episode and Odd is more worried. Jeremie (Off): Odd! You can't hold out for much longer!! Odd: So what can I do?!! And Aelita? Jeremie (Off): Seventy life points! But that's not the worst of it: you only have four arrows left! Odd: Ho ho... I'll really have to concentrate then! With this, he takes his time in aiming at a Kankrelat, and fires. The arrow hits the monster's eye and it disappears instantly. The way is clear. Odd takes Aelita by the arm, and pulls her along at a run along the path that leads to the activated tower. The last three Kankrelats follow them. 14:50 In the script, Ulrich doesn't briefly regain consciousness when Yumi tries to escape the machines in the factory. A cute scene was also cut. Reaching the machine's bonnet, Yumi carries the still-unconscious Ulrich on her back. Suddenly, the Bulldozer speeds towards another wall. Yumi uses her momentum and dives to the floor. She tucks and rolls to the ground while the bulldozer slams into the wall again. Yumi leans over Ulrich to protect his body from the falling debris. Finally, the girl stands and lifts her friend onto her back to escape the metal monster, which is now targeting them. The second machine advances to cut off their path to the lifts. The first Bulldozer is hot on their heels: there's nowhere to run. Yumi stares in wide-eyed horror, squeezing Ulrich's hands as she carries him on her back with difficulty. Impact is imminent. While the machine goes to squash them... it becomes trapped between two columns. Great relief for Yumi, who wastes no time. Still with Ulrich on her back, doubled over, Yumi progresses to a trapdoor in the floor. The Bulldozer has freed itself. Yumi opens the door, slips Ulrich inside and lets him drop. As the bulldozer reaches her, Yumi also drops into the trapdoor. Yumi lands gracefully on the floor of the corridor, beside Ulrich, unmoving on the floor. Already standing, without even stopping for breath, she hurries to Ulrich. She listens to his breathing. Phew... he's still alive! The girl affectionately caresses her friend's cheek. Yumi: Do you really think this is any time to be sleeping? Yumi heaves Ulrich back up onto her back and carries him down the corridor. During the episode: The discovery of the Guardian on Lyoko and the fact that it has imprisoned Yumi is completely offset between the script and the cartoon. The key points of the upheaval this causes in the logic of the episode are mentioned below. 01:00 The episode was going to initially start with one of the final scenes, followed by a flashback to the beginning of the episode. It was the scene where the false Yumi disconnects the scanners, is surprised by Jeremy and grabs him. The flashback would have interrupted before Yumi hits Jeremy. 01:50 The Guardian's approach is accompanied by a crackling noise. In the script, Yumi's body is pixelised from head to toe for a moment, as if she was being scanned, which doesn't appear in the cartoon. Was the scan performed by the Guardian what allowed XANA to duplicate a hero for the first time? Odd: Erk... Hey, what's wrong with the hot chocolate today? It tastes like dirty sweat socks and an old pair of sneakers! Ulrich doesn't look up from the magazine he's reading distractedly, his back to the drinks machine. 07:10 to 09:20 The whole scene where the principal comes looking for Yumi and talks to her in his office takes place with Jim in the script, and is much shorter. Yumi faces Jim. The man looks very unhappy. Jim: It's unspeakable, Yumi!... Yolande is still very upset! What did our poor nurse do to you? Jim: (sigh) Two hours of detention in the library... Is that understood? Now go!!! We're inside a cubbyhole when its door opens, revealing Yumi's silhouette. She's carrying —seemingly effortlessly— Jim's large carcass, still out cold, and throws him from her shoulder like a sack of potatoes. 11:15 The scene where Aelita discovers Yumi inside the Guardian took place during the scene where the false Yumi tried to kiss Jeremy. So we already know that she's a double at this point in the script. What followed was a scene cut from the cartoon where Aelita tried to warn Jeremy on the computer in his room just before he leaves to explain the incident to Ulrich. The false Yumi remains alone. Aelita's voice rings out. Aelita's face appears on the computer. She seems out of breath and very panic-stricken. The false Yumi frowns. 13:05 In the script, an exchange between Jeremy and Ulrich is interrupted by a prying Sissi. 15:50 In the script, once they arrive on Lyoko, Ulrich and Odd only kill one Kankrelat between them. 17:10 The concept of the Guardian isn't the same in the script when it came to the monster's function or how to get rid of it. So obviously, the scene isn't the same. 06:20 At the end of the discussion in Jeremy's room, where Ulrich was already complaining about Sissi's presence on the film set, an extension of the scene was cut. At this moment, someone knocks at the door several times. Jeremie reacts straight away and turns on his computer's screensaver to hide Aelita. Luckily he was fast, because Sissi bursts into the room without waiting for permission. Sissi: Ulrich! What do you think? Which dress should I wear? Ulrich turns to his friends, frightened. Odd and Jeremie give him sympathetic looks. 11:10 When the lift is blocked during the Alien's first attack, the episode shows Sissi and Ulrich escaping through an air vent. In the script, they managed to climb back up into the main room of the factory. Sissi and Ulrich set foot in the main room. Ulrich only has one shoe left on his feet, the other wears only a sock. Ulrich (sarcastic): And people say shoes without laces are bad...! But, a VIOLENT NOISE jerks them back to reality. The ceiling of the lift begins to give way under the Alien's hits. Ulrich: Let's not stay here...! The two teens start running again, fast. 11:30 Before Finson wakes the film crew, a long chase scene between the alien and the two students was cut from the episode. Meanwhile, at the factory, the monster enters the turbine room... on the lookout, all senses alert. It looks around, disturbingly. There doesn't seem to be anyone in the room. The Alien stays motionless, scrutinising with its dark eyes, then leaves the room, still looking for Ulrich and Yumi. After a short time, Sissi and Ulrich's heads surface from the water (see graphic file), breathless. Ulrich gets out of the water and holds out his hand to Sissi. Ulrich: He may come back. Give me your hand! Sissi reaches to take Ulrich's hand, when she's suddenly snatched underwater. She sinks in a terrible CRY OF PANIC. Ulrich quickly grabs a bar of iron lying on the ground and dives to Sissi's rescue without hesitation. Sissi is dragged down by one of the Alien's tentacles. She struggles less and less. Ulrich swims like a madman to reach her depth, or rather the depth of the monster's tentacle. He then gives the plastic material a violent whack with the iron bar. The alien lets go of the girl and rushes towards Ulrich... who knocks it right in the face with the bar. Hurt and groggy, the monster retreats. Ulrich takes advantage of this to bring Sissi to the surface. Ulrich hoists the girl up out of the water. Sissi regains consciousness, a little groggy. Ulrich helps Sissi to stand. And the two teens quickly exit the room. A short moment of silence. And then, a form suddenly surges out of the water in a sort of geyser. It's the Alien, its face severely damaged (which gives it a much more disturbing look), who lands on the floor of the room, ready for another fight. It sniffs the air, as if it's trying to locate the scent of our heroes. 12:50 The arrival of our heroes was modified between the script and the episode. Still preceding the film crew being woken up, the heroes find another way to enter the factory. The day opens on a sleeping factory. Odd, Yumi and Jeremie climb out of the sewers. Seen from afar, the watchmen guarding the entrance to the factory. Our heroes grimace as they observe them from the other side of the bridge. Yumi soon spots something on the water. Odd and Jeremie nod. And our three heroes slide down the bank towards the water and the rowboat. The little group doesn't finish their trip across the river until Ulrich and Sissi are glued to the wall by the Alien. Having reached the factory's island, Yumi, Odd and Jeremie climb out of the rowboat. Odd points out a very precise spot on the factory. Odd: Over there, there's a passage...! Yumi, Odd and Jeremie enter through a gap in the corridor. Yumi immediately separates from her friends to head in the direction of the turbine room. Yumi: I'm going to try and find Ulrich and Sissi. We'll stay in contact! Odd and Jeremie nod and head towards the end of the room where they find the trapdoor leading to the lab. 17:45 The script doesn't mention the tunnel on Lyoko where Odd and Aelita slide and exchange a few words with Jeremy. In its place, they had a different descent. Odd grimaces. He turns and see the Hornets preparing to fire. He jumps on top of Aelita to flatten her to the ground. The lasers pass right above their heads. Carried by their momentum, the two friends find themselves sliding down a rather impressive slope. Before them, dozens of particularly sharp rocks. Our two heroes use their hands and feet (like skis, or rudders as they're flat on their stomachs) to slalom between the rocks and avoid being shattered, head first. They soon arrive at the edge of the plateau. Down below, after an impressive gap, another plateau. Odd and Aelita exchange a glance, then, without slowing down, they let themselves slide into the open air towards the lower platform. They're pushing it, but they land on the plateau in question a few metres from the edge and from the infinite void. 15:00 The Hornets don't have venom in the script. 19:20 The satellite laser is red instead of green. 20:25 The damage Kadic sustains is graver in the script. Yumi and Odd run in a zigzag pattern while watching the sky. They run by two demountables. The LASER fires again. It barely misses Yumi and blows up the cafeterias instead. 05:30 At the end of the first failed discussion with Taelia, Ulrich gently teases Odd about the raking he just endured. No chance from the script, except for a single sentence that was changed, removing a joke from Ulrich. 07:20 In the episode, when Jim is attacked by the samurai armour, we only see it rush at him and raise its sword. The script presented this scene as more aggressive. Jim: Hey, you...! What are you doing here...? (the samurai turns towards him) What kind of costume is that...? The samurai doesn't leave Jim any time to continue his questions. It raises its sabre to cut down the pawn, who ducks right at the last moment. Jim (astounded): Hey! What's wrong with you...? Have you lost your mind...? Rather than respond, the samurai decides to take another shot. The sabre flies towards Jim's head. This time, Jim is forced to throw himself to the floor... In doing so, he knocks his head against the wall. BOOM! The samurai advances on him, sabre in hand. It seems to hesitate before finishing Jim off. Then, all of a sudden, it seems to totally lose interest in Jim in favour of continuing on its way down the corridor. On the floor, Jim doesn't wake up, totally groggy. 08:50 The script reveals who told the police officers that the armour belonged to Yumi! Inspector: It appears this armour belongs to you? As Yumi nods, in the background, behind the police officers, we can see Milly and Tamiya: obviously, they were the ones who informed the policemen. 09:00 A scene was cut from the episode, just before Jeremy meets Taelia in her room to warn her. The armour ascends the main staircase. It passes by Sissi, Nicolas and Herve who are going down the stairs. Sissi watches the armour go by. Immediately, the armour raises its sabre to strike just in front of the girl. The weapon's cutting edge becomes embedded in the banister. Sissi, who is rigid, begins to scream. Nicolas and Herve are paralysed with fear. The samurai continues up the stairs and disappears up above. 10:20 A few short scenes show Jeremy and Taelia hide in the boiler room after their chase with the armour, but were cut from the final episode. Very quick shot of Aelita lying on the ground, unconscious at the bottom of a crevasse, covered in snow, right in the middle of a storm. Though the concept of the Guardian in the episode is the same as in episode 7 (see above), we can still notice that in the scripts, this monster wasn't thought of at all in the same way. As such, it didn't even exist in this episode's script. 14:10 In the episode, Taelia and Yumi only cross paths outside the principal's office. In the script, the meeting is more direct. OPEN on the inspector's face as he sighs. The frame widens. The inspector faces his men and Yumi. Inspector: We'll sweep the area and try to find the armour and whoever's hiding inside it! The door suddenly opens on Talia as she bursts into the room... in such a way that the policemen guarding the door can't stop her. Talia immediately turns to the Principal. Talia (addressing the inspector): Sir! I've discovered unbelievable things... at the factory nearby! The Principal and the policemen turn to Talia, intrigued. Yumi also turns to the girl, worried. This doesn't seem good. 14:40 Several changes in ideas took place in the rest of the episode. The activated tower is situated in the Forest Sector in the episode, unlike in the script, where it's said to be in the Mountains. Another change occurred with the way the policemen's arrival at the laboratory was delayed. 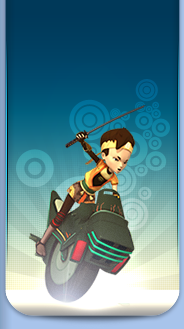 With the absence of the Guardian on Lyoko, the way of finding Aelita was no longer the same. No clone program to create, no Way Tower to regenerate in before heading to the Forest, and not even the same fight... The script also presents a concept that was abandoned in the episodes: the presence of snowstorms in the Mountain Sector, not dissimilar to the sandstorms in the Desert. Jeremie has just created a short circuit to block the door to the lab. Suddenly, a BEEP resounds around him. Jeremie checks his control screens: we can see that the scan has localised the tower activated by XANA. Jeremie hurries to the control terminal. Ulrich lifts his head as a few snowflakes begin to fall on his face. In the direction Odd is pointing, we can only see the top of crevasse, over which the snowstorm seems to be the most intense. Odd: That crevasse... and the snowstorm! That's what I saw in my vision! Jeremie anxiously watches the points representing Odd and Ulrich move towards the crevasse in question on the 3D map of Lyoko. But suddenly, the points disappear. Jeremie looks panicked. Jeremie: Ulrich? Odd? I can't read you anymore!!! Now right in the middle of the snowstorm, Ulrich and Odd are at the bottom of the crevasse. Odd brushes away the snow...and frees Aelita, lying there unconscious. The two boys look worried. Odd: Aelita! Can you hear me? All of a sudden Aelita shifts and her eyelids shiver. She seems weak and her boy is covered in electrical influxes. Ulrich: We need to get out of this darn storm... that's what blocking communication with Jeremie! Jeremie looks apprehensively at his screen: still not even the slightest trace of his friends' icons. He bites his lip with worry. But suddenly, somebody starts HITTING the lab door. Jeremie looks at one of his control screens, on which we can see the corridor leading to the lab and the uniformed policemen pushing brutally to try and open the door. The surveillance camera pans out to reveal Talia, behind the cops. On Earth, the scene where Yumi is attacked by the armour is the same. Jeremie is still watching his screen with apprehension when suddenly, the icons of his three friends (Aelita, Odd and Ulrich) reappear on the map of Lyoko. Jeremie looks relieved. Jeremie's face brightens in a smile. Ulrich, Odd and Aelita (very weak) advance along the bottom of the crevasse. They have just exited the snowstorm zone. Jeremie (off): Hurry it up now! Yumi may be having trouble with the samurai! Odd: Do you have any more good news? In the lab, the door begins to open. Effectively, on the surveillance camera, Jeremie can see the policemen have obtained an iron bar to lever the door open with. Jeremie turns to the 3D map of Lyoko, worried, and suddenly opens his eyes wide. Jeremie (to himself): Ouch... that's all we needed...(into his microphone) You want some good news: XANA's sending you monsters! Indeed, on the 3 D map, we can see the red points characteristic of the monsters inexorably heading towards the crevasse. Odd and Ulrich look up to the top of the crevasse. We soon see two Bloks appear. Odd (sarcastic): Cool, Bloks! My favourite monster! Ulrich: Quick, let's get out of here...! Aelita stands and, following Ulrich, continues along the bottom of the snowy crevasse (a gently sloping floor). Odd covers them, following them walking backwards and firing arrows at the two monsters. Unfortunately, they aren't facing the group with their brain side, but their “freezing eye” side, so Odd's shots are absolutely ineffective. The Bloks, on the other hand, fire together. Two ice beams hurtle towards our heroes. Odd: Ulrich, look out! Get down! Ulrich dives to the ground without stopping to ask questions, dragging Aelita with him. Odd does the same. The ice beams pass right above them and freeze part of the ground. As Odd and Ulrich look at the icy surface in front of them, they exchange an amused look, they apparently had the same idea at the same moment. They leap up (Ulrich still helping Aelita) and launch themselves without hesitation onto the now-frozen floor of the crevasse, skating on their feet (or on their backsides in a luge sort of way). The Bloks are beaten to the draw. They turn their “ring of fire” sides to melt the ice, but their shots are too late (by a narrow margin) for our three heroes, who are skating at great speed. Despite the change in Sector between the script and the episode, the rest of the fight on Lyoko remains the same, including dialogue-wise. 06:50 When Sissi discovers the fist rat in her room, hidden in her tattered dress, the scene present in the script is stretched out by the arrival of a tertiary character who only appears a few times throughout the series. We also notice in the script that Sissi doesn't attack the rat with her shoe, and that the creature doesn't run and hide behind the cupboard, but elsewhere. ... But the rodent dodges the blow and flees into an open cupboard. The fugitive rat hides behind a large vacuum cleaner... where a dozen ferocious rodents are crouched, with red eyes on the lookout. Panting, Sissi looks towards the cupboard with a mean look on her face. She advances towards it, opens the door wide, crouches and reaches for the vacuum cleaner. Suddenly, there's a knock at the door. Sissi irritatedly looks up, composes herself, closes and locks the cupboard door and goes to open the bedroom door. A tall, lanky teen (Lionel), a walkman over his ears (playing music quite loudly) stands in the doorway. Lionel: Excuse me, can you make a little less noise? Some of us are working here! 8:00 Just before the blackout, a scene explaining Sissi's absence at the cafeteria where everyone's eating was cut. Sissi is now asleep, her walkman over her ears, but no longer playing any music. A second sound violently wakes her up. Groggy, grumpy, she sits on the edge of the bed and turns the light on. She consults her watch. 10:30 When all the boarders exit the lunchroom, Odd and Ulrich armed with extinguishers, they all carry lunch trays as shields. The script, through a deleted scene, explains to us how they came to equip themselves. The camera focuses on the kitchens. The three employees are equipped with kitchen utensils. They're fighting the rats, who are surging on them. Two rats jump on the third employee. The employee grabs a stainless steel tray from a nearby pile and holds it in front of themselves, as a sort of shield. The rats splat head-first into this unexpected obstacle, with a resounding BONG. Happy about their discovery, the kitchenhand turns to their colleagues. Cook: The trays! We have to distribute the trays to all the students!!! Throughout the script, it's mentioned several times that there are three people working in the kitchen. The episode only kept Rosa. 13:30 While the heroes are trying to find a way to get down from the roof of the science building, a short scene showing Jeremy stuck in the library was removed from the episode. Jeremie inspects several windows from top to bottom. Each time, he sees through them many rats accumulating on the sills. Jeremie grimaces. Jeremie: I guess you could say we're trapped like...rats. 13:40 The heroes' descent from the science building roof was presented very differently in the original script. Yumi, Odd and Ulrich, side by side, are standing at the very edge, the edges of their feet sticking out over the edge of the roof. Odd leaps. He falls straight into a tree. A few metres below, his hands grip a branch. Like a gymnast, Odd flips once around the branch and dexterously hauls himself up. Ulrich leaps. He falls right into the same tree. His hands grab the branch Odd used. His fall is stopped. With energetic traction, he hauls himself up onto the branch. Gesturing with their arms, Odd and Ulrich signal for Yumi to jump. Yumi takes a deep breath and leaps into the air. She falls towards the tree. The branch Odd and Ulrich are on draws nearer. She tries to grab it, but her jump is a hair too short and her hands merely brush it. Yumi continues to fall. The ground, crawling with rats, draws closer. Yumi squeezes her eyes shut. Her hands suddenly catch hold of a branch lower down. Yumi's fall is abruptly stopped. Yumi hangs by her arms. She looks up to her hands and wears a frightened expression. A rat, perched on the same branch as her, trots towards her hands. It bares its incisors and bites hard into Yumi's fingers. A sudden kick sends it flying from the branch. Zooming out, we find that the foot belongs to Ulrich, who's now on the branch Yumi is hanging from. Odd joins him. The two boys bend down, taking their friend's wrists and pulling her up onto the branch. Odd places a friendly hand on Yumi's shoulder, the girl quite pale. Odd: That was pretty close. 15:00 In the televised episode, during the trip across the river in the rowboat, we notice Yumi's phone is glued to her ear. The reason for this is in the script. In the boat, Yumi holds her mobile phone to her ear. Yumi (in a low voice): Jeremie... We're nearly at the lab... (she listens to Jeremie) Light scares them away... got it! Listen: don't go through the sewers... you understand? Take care of yourself. Yumi ends the communication and slips her phone into her pocket. This information is never used by the Lyoko Warriors in the rest of the episode to defend themselves, so it's understandable that this short discussion was cut. 01:00 An error may have been made right at the start of the episode. In the script's introductory scene, the tower whose halo turns red because of XANA is in the Desert, while throughout the rest of the script and the episode, it's in the Forest. 07:00 When Ulrich warns the principal about the insects, the script indicates that Ulrich initially spoke to Jim. Ulrich speaks with Jim beneath the arches. Jim (mocking): Dirty flying vermin! I'll see what I can do! Don't worry, my boy! And so the whole of the following scene is modified: Mister Rouiller, the school gardener, who we see in the episode, was Jim's role in the script. Jim may be a handyman, but maybe not to this extent. 11:00 The long scene where Aelita changes Sectors cut a small scene from the script. The students are in class, Ulrich wants to meet with Yumi to talk to her about her letter. There's nobody beneath the arches. All of a sudden, the bell rings. The classroom door opens and Ulrich barrels out of the room. The smile still on his lips, he runs through the arches and... collides with Sissi, who's arriving from the opposite direction. The books Sissi is carrying fall all around her. Ulrich immediately collects them all. Ulrich (still beaming): Sorry! I didn't see you! The young man hands the books to Sissi then continues running down the corridor. Short shot of Sissi watching him leave with a smile. Back to Odd and Jeremie (his laptop under his arm) leaving the classroom and watching Ulrich head to the science building. While Odd is stupefied, Jeremie opens his laptop and types on the keyboard. Suddenly, his eyes widen. Odd turns to Jeremie and frowns. Shot of Jeremie's panicked expression. Jeremie (in a low voice): The scan found the sector where XANA activated the tower! Odd and Jeremie set off running. While Jeremie puts his laptop back in his bag, Odd takes out his mobile phone and dials a number. 13:20 A short scene was cut between Jeremy and Odd's exit from the sewers after the hornet attack and them and Yumi arriving in Ulrich's room. Jeremie and Odd head through the park. An awful buzzing is heard. The two friends look up: in the trees in the park, numerous hives have appeared among the branches. Hundreds of hornets buzz all around... Suddenly, a voice catches the two boys by surprise. Yumi: But... what are you doing here?! Jeremie and Odd see Yumi, in front of them. They grab her and pull her along so she follows them. Jeremie: Come on. We can't stick around! 13:50 Removing this scene displaced Yumi's question to the boys about their smell. A repeated question from Ulrich in his room was lost, after getting the truth from Yumi and before they contact Aelita. Yumi remains silent and lowers her head, apologetic. Stupefied, Odd and Jeremie exchange a look of not understanding. Ulrich turns to them and grimaces, disgusted. Ulrich: And what's that smell? More distressed expressions from the two boys. 14:20 Although in the episode, the heroes aren't blocked in the sewers by the hornets until the school is attacked, in the script the attack at the school had already begun and the heroes already had to run after leaving the dormitories to get underground. Yumi, Odd, Ulrich and Jeremie burst into the quadrangle at a run. Jeremie is wearing his backpack, containing a large object we can't see just yet. The heroes look in front of them: three fire fighters are preparing to inspect the trees at the edge of the quadrangle. A few students are heading into the park to walk through it and reach the front gate. Suddenly, an enormous buzzing is heard. Jeremie, Ulrich, Yumi and Odd, the fire fighters and the students raise their heads. Hundreds of hornets appear in the sky, above the trees. The heroes look terrified. Same scene as in the episode, showing the hornets attacking the fire fighters and school students. Our heroes are still being pursued by hornets as they reach the boiler room. They open the door and close it behind them at the moment the insects would have got them. We can also note that the script made several references to a swarm leader hornet, surrounded by a black aura indicative of XANA. All trace of it disappeared in the episode. 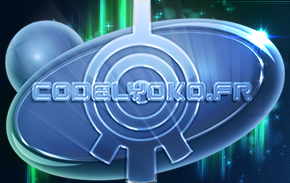 17:00 The attack on Lyoko is the same as described by the script. The only small difference: in the script, the heroes are attacked as soon as they arrive before even having time to search for Aelita. Yumi, Odd and Ulrich materialise in mid-air, in cross shapes. They find themselves on the path where Aelita disappeared. Their bodies abruptly fall to the ground. The three friends land supplely. They barely touch the ground before they turn their heads: the three Hornets are already upon them. Ulrich unsheathes his sabre, Yumi takes out her fan and Odd is already firing arrows in response. 04:00 At the factory, when Jeremy launches Aelita's materialisation program. Ulrich casts Odd a dark look, and he looks down. Jeremie remains gaping before the screen where the disastrous message is blinking. Ulrich (serious): Sissi, can you tell us what happened to you in detail? Perhaps not an end to the scene that's to everyone's taste! 14:00 During the whole first part of the fight on Lyoko, before Milly decides to slide down to Odd and Tamiya on Earth, the Kankrelats encountered in the Forest were initially Krabs. Despite the change of monster, the dialogue and actions remained largely the same. The only somewhat more important change resides in Ulrich's arrival on Lyoko. Rather than getting a simple surprise by the virtual guardian arriving behind him, the girl surprised him in a different way. Suddenly, a silhouette surprises him from behind, while Aelita's hand is planted over his mouth. Surprised, Ulrich jumps and tries to break free, before realising that it's Aelita. Ulrich: Aelita!!! You scared me!